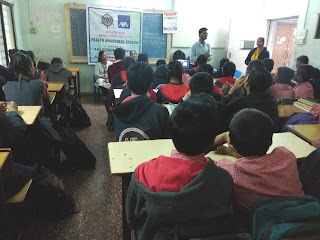 Chinchwad (Pune), 10-January-2019: The Don Bosco Development Society (DBDS), Chinchwad organized awareness and interactive sessions on ‘Harmful Effects of Tobacco and Gutkha chewing’ for the students of Geetamata Madhaymic Vidyalay in Chinchwad. 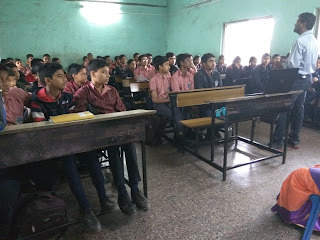 Two sessions were conducted. First one from 10.00 AM to 11.00 AM for the 9th std and then 11.00 AM to 12.00 Noon for the 8th std. 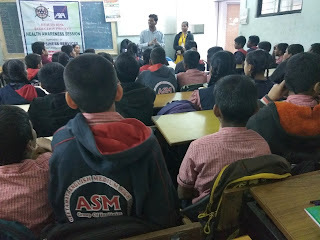 123 students participated in this workshop held under the aegis of ‘Health Risk Reduction’ project supported by AXA Business Services Ltd.
Dr. Vikas Chothe (MD Ayurveda) was the resource person for this session. 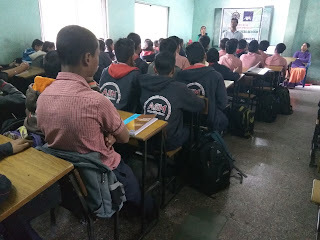 The objective of this workshop was to educate children on the risky habit of consuming tobacco products and harmful effects to such habits. 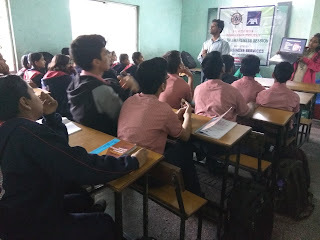 He covered various topics on composition of tobacco, substance abuse in adolescent, effect on liver, kidney, forms of tobacco, harmful effects on body and mind, oral cancer, lung cancer and many more health problems associated with it. 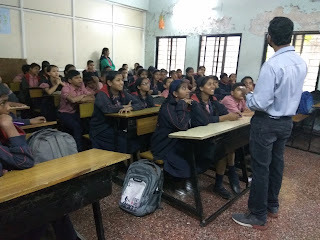 Students asked many questions which were all answered by the resource person. 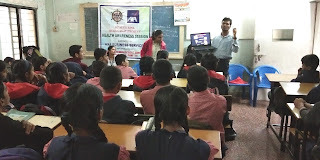 Mrs. Rajshreee Deshkhaire (Staff- DBDS) made the logistical arrangement for this workshop.